Thin Calendar is an application which displays a transparent, linear calendar on your desktop, with your appointments from Google Calendar. Its look was inspired by DateLine, a similar freeware application for Mac OS X. 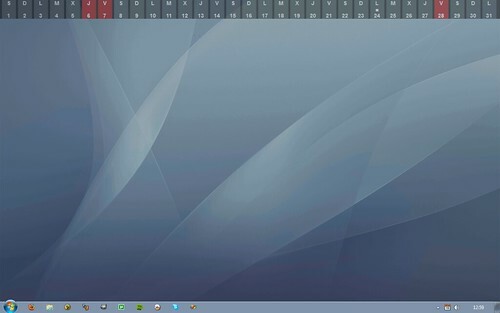 Thin Calendar doesn't need to be installed. You can download the zip file, extract it, and double click on the exe file to run the application. You can also download the source code (written in C#) if you are interested. You can help us by clicking on the donate button. Donations will be made through PayPal, guaranteeing a secure transaction.